The ingredients for green pesto sauce . 图库照片: The ingredients for green pesto sauce . 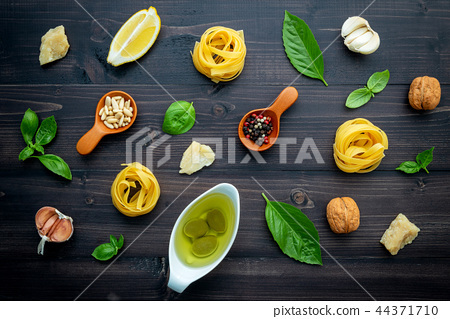 The ingredients for green pesto sauce on dark wooden background.